Amongst the sterility of minimalist forms Grosvenor's like the subtle bulge in the zubaz of propriety it reminds us of. Grosnevor's doesn't feel naturalized, but constructed, affected, conjuring the sweat of effort and work that minimalism tried to avoid through industrial process and design. Grosvenor's minimalism reminds us of work and sweat and bodies, of the designer, the sun baked engineer. 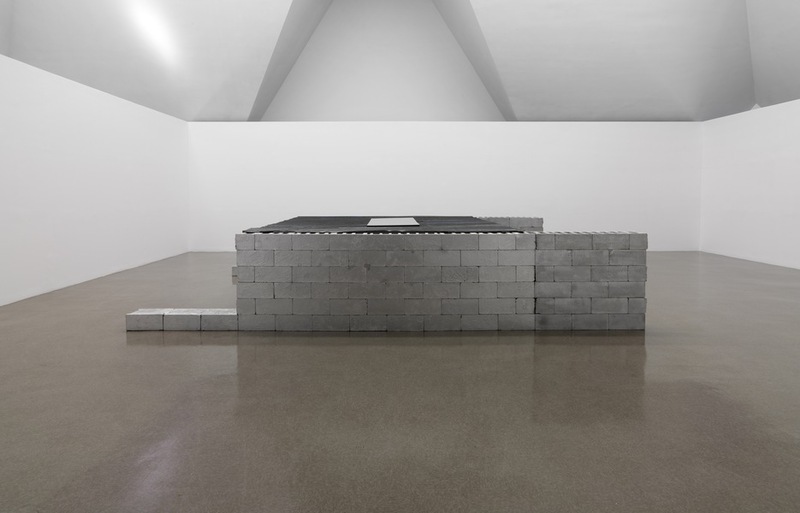 Grosvenor's minimalism reconsiders the earthliness that minimalism tried to disavow, work.